(UKPA) Wall Street giant Goldman Sachs has been accused of defrauding investors in a civil lawsuit filed by America’s Securities and Exchange Commission (SEC). The US government’s financial watchdog alleges that Goldman Sachs misled investors by failing to disclose conflicts of interest in mortgage investments it sold as the housing market was faltering. The SEC announced it had lodged civil fraud charges against the company and one of its vice presidents – news that sent stock markets worldwide reeling. The SEC alleges Goldman, which employs 5,500 people in the UK, failed to disclose that one of its clients helped create – and then bet against – sub-prime mortgage securities that Goldman sold to investors. (CNS): Cayman’s young people will be marching for peace this weekend in West Bay and demonstrating that the younger generation in Cayman is about a lot more than guns, drugs and violence.Coming together for the ‘Let’s Do Som’Um Nah Youth Rally’ at the 4-way stop in West Bay by Centennial Towers at 3pm the peace army of youngster will make its way to the John A. Cumber playfield for an afternoon of fun before en evening of entertainment is planned showing casing the many talents of Cayman’s youth. Speakers and entertainers including youth pastor Felix Manzanares, 2010 YCLA winner Colin Anglin, CITN reporter Kenneth Bryan, YP President Denise Miller, Boxer Charles "The Killa" Whittaker, YUDP President Richard Christian and Cayman Brac Miss Teen Zorina McCoon will take to the stage to inspire young people, organisers said. There will also be entertainment from dance group Xcitment, Miss Teen Cayman Jamesette Anglin, D.L.S., Pauz Entertainment and others. "With the raising crime and violence taking place in our Islands over the last few years, months particularly, it is our young people that are being affected the most,” said organizer Richard Christian. “The vision of this event is to identify the young people that are already doing positive things in our community and to provide a stage for them to display there gifts and talents, which will encourage other young people to do something positive. We are hoping that the number of young people involved in this event, from the speakers to the entertainers, that it will give all teens and young adults local role models that they can look up to and aspire to be like. Young people need to stand up and let their voices be heard and save the future of our Islands said committee member Angelita McLean. “We need to remind teens and young adults that no matter how hard life is or how difficult the obstacle may seem you can accomplish anything in life once you believe and have faith. We need to be our brother’s keeper and be willing to lend a helping hand to the person in need whether financial or spiritual. United we stand divided we fall!" she added. (CNS): Following what it said was a successful round of training for funds and securities regulators last week, the Cayman Islands Monetary Authority (CIMA) is now joining with the Association of Supervisors of Banks of the Americas (ASBA) and Caribbean Group of Bank Supervisors (CGBS) to host a five day Credit Risk Analysis School for banking regulators in the Caribbean. CIMA’s Managing Director Cindy Scotland said the school is part of the Authority’s commitment to ensuring that CIMA staff operates with the most current standards and techniques of supervision and promotes international cooperation. The training exercise is taking place at the Westin Casurina Resort, Monday through Friday, 19-23 April, with exams being lead on the final two days. 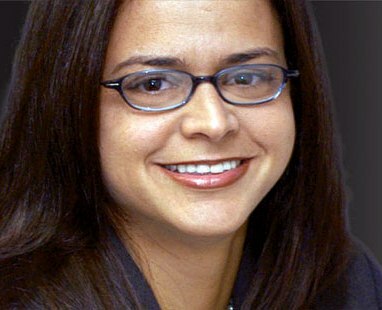 The school will be led by facilitators from the United States Federal Reserve, Princeton Rose, Director, Bank Supervision and Regulation, Federal Reserve Bank of Atlanta; Carol Roller, Senior Bank Examiner, Federal Reserve Bank of New York, and arkis Yoghurtdjian, Assistant Director, Division of Banking Supervision and Regulation, Board of Governors of the Federal Reserve System. Open to government regulatory bodies, participants for this school are expected from the central banks of Trinidad and Tobago, Netherlands Antilles, Belize, Bahamas, and Aruba, as well as the Bank of Jamaica, and local participation from CIMA’s Banking Supervision, Fiduciary, and Investments and Securities divisions. The curriculum for the training will provide participants a systematic strategy for analysing credits and the development of specialised types of credits. Topics include: the global financial turmoil and the supervisory lessons learned; borrowing causes; financial statements; ratio analysis; cash flow projections; loan structure and documentation; collateral evaluation; credit classifications; credit risk rating, and problem loans. Although we should not be surprised by the removal of Dan Duguay from his post, the news should still be of concern to the people of the Cayman Islands. Despite what will be said by government, the message sent to the community by this decision is simple: If you challenge authority you will be removed. Love him or hate him, Duguay has integrity and is good at what he does, but he is soon to be unemployed, not because, as some have tried to say, he made mistakes but because they didn’t like what he turned up and they certainly didn’t like him talking about it so much. Despite the comments of those who have been on the receiving end of the light he has shone on the mismanagement of public finances, Duguay had no hidden agendas and no axes to grind. The findings in his reports were based on what he found in government books. And because he would not be bullied into silence or directed away from what he perceived to be areas of controversy he has lost his job. Duguay’s removal marks a sad backward step for openness and transparency in government and for the governor’s catch phrase of ‘good governance’. From the helicopter fiasco to the discredited Operation Tempura, not to mention the finance arrangements at Boatswain’s Beach, the Affordable Housing project, the Matrix affair, and who could forget ‘GASBOYgate’, Dan was not afraid to boldly go where no auditor general had gone before, and more importantly he talked about it. There is no doubt that the auditor general’s preference for openness and transparency is behind his marching orders. Of course the officials of government will be able to hide behind the issues of competitive contracting, his six years service, a better candidate and other sensible sounding reasons, but with a few notable exceptions, officialdom has not fooled the Caymanian public, who know full well why Duguay will be packing his bags. Duguay admits that since taking up the position every governor has questioned why he has engaged with the press and been so vocal about his work, and the AG has explained to each of them that in order for the public finances to be better managed the public must be aware of the process and what good value for money for them really means. As Duguay pointed out, the media is the outlet by which the wider public gets to understand what government spends and why. Without Duguay’s openness and drive for accountability who would have ever realised that the government had not actually done a full set of accounts for five years? How would we know that Bridger was paid over half a million dollars of hard earned tax payers money? Or that Joey Ebanks ran up a $6,000 bar tab at the Turtle Farm – things, that lets face it, we deserve to know. In his reports Duguay has highlighted the dangers of the mismanagement of public finances and asked the public to challenge their political representatives about how they look after the public purse — a perfectly legitimate position for an auditor general to take. Yet by highlighting some of the many problems that we are all now aware of due to his work, the government has rewarded him with the sack. So what of the mystery man who will replace Dan? Given that he has only been given a three-year contract and coming in the wake of someone who has clearly lost his job for being a little too thorough for the liking of the powers that be, will our next AG be quite so willing to turn on those lights or will the country’s next scrutiniser of the public purse hide behind the dusty files of ‘accountingdom’? While we in the press certainly hope the former is the case, we are under no illusions about what is likely to happen next. (CNS): Following a judgment in favour of Cable & Wireless Communications, LIME’s parent company yesterday in the UK, the communications firm said it will now take action against Digicel to seek the reimbursement of its costs for defending the suit brought by its competitor. Digicel had claimed that C&W had unlawfully delayed its entry into the Caribbean telecoms market between 2002 and 2006. According to C&W Justice Morgan handed down a judgment dismissing the claims except for the case of Turks & Caicos where he found a breach of contract but ruled it caused Digicel no delay and thus no loss. 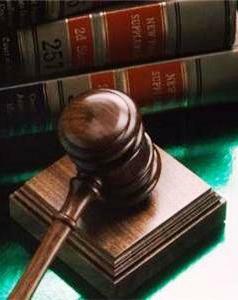 The firm said it would now take action against Digicel to seek the reimbursement of its costs of defending the matter. Tony Rice, Cable & Wireless Communications CEO described the ruling as a “resounding victory” for C&W. David Shaw, the CEO of LIME said he believed thethat the UK court had seen through Digicel’s accusations as the firm had alwasys maintained. The case involved claims that the Cable & Wireless Communications Group had breached the telecoms statutes in six Caribbean territories (Barbados, Cayman, St Lucia, St Vincent & the Grenadines, Grenada and the Turk & Caicos Islands) which Digicel was entering as a competitor to Cable & Wireless (now LIME) between 2002-06. Similar allegations were also made against TSTT, the Trinidad & Tobago-based telecom operator, in which Cable & Wireless Communications holds a minority stake. Digicel also alleged senior management of Cable & Wireless plc, the then parent company of Cable & Wireless Communications Group, had been involved in a ‘conspiracy’ to delay its entry into these markets.. The judgment dismissed the claims in the seven territories and the overarching conspiracy claim with the minor exception that the Judge found a breach of a short letter agreement with Digicel in the Turks & Caicos Islands, but which he ruled caused Digicel no delay and thus no loss. 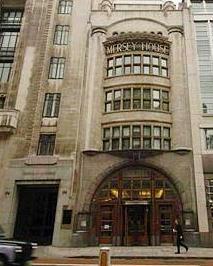 The case was heard over 77 sitting days in the High Court in London, UK, and heard evidence from 43 witnesses. (CNS): A Local group of concerned citizens called ‘You Can Make A Difference (YCMAD)’ is joining forces next month with Community Video Ministries and Videomatic to bring 3P ~ Creative Fusion, a night of short films by local artists, showcasing the talents of the islands’ filmmakers. Scenes from the upcoming local film "When No One’s Looking" (WNOL), directed by Judy Singh a Video Producer with Apex Video Solutions and starring Rita Estevanovich, Luigi Moxam, Olivia Scott Ramirez, Michael McLaughlin, Brian Braggs, Jacinta Mohammed, Neil Hamaty and many others. Also, Jamaican TV Celebrity: Bertina Macaulay of Cool Runnings and Royal Palm Estates. There will also be scenes from the life changing short movie "MOST (The Bridge), which was nominated for an Academy Award and other notable awards and compelling, locally produced short film "Transformed by Grace" (TBG). With local actors: Jacinta Mohammed, Neil Hamaty and Felix Manzanares which is directed by Ben Hudson. The event takes place on 16 May and admission is free but organisers said donations will be accepted as the team is continuing to raise funds to finance the full production of "When No One’s Looking" (WNOL) an important film looking at the impact of HIV. The filmaakers are also looking for volunteers to work as extras on the film or people who can assist with production or act as crew members. Organisers said Light refreshments will be provided during intermission and light food following the show. (CNS): Business in down town George Town was severely disrupted yesterday as a result of two electrical pole fires the first occurred in the industrial area one around 9am and a second one at 11:45am although CUC said it was able to restore power to most customers by 3:30 pm many businesses were in the dark for most of the day. With no traffic lights on and roads closed by emergency services to facilitate the work of CUC technicians traffic ground to a halt. 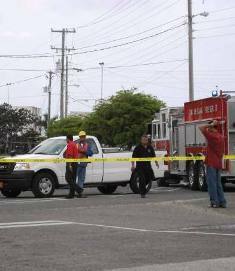 CUC said that some 3,000 customers were initially affected by the police fires. The power firm said it was able to re-route power on its distribution system to restore power to the majority of customers within an hour. According to a News 27 Vice President of Transmission and Distribution, Andrew Small explained that the pole fires occurred after a period of no rain and moderate to high winds which allowed salt to build up on the lines. Under these circumstances, pole fires may occur if the lines and associated equipment receive light rain, as was the case yesterday. The combination of the salt and water on the insulators causes electricity leakage to the wood poles, which may be ignited. Usually, heavy rains will completely wash the salt off. He said that CUC crews monitor and maintain the infrastructure to minimize such occurrences. “Reliability of service is always our number one priority,” Small said. (CNS): Normally facing off over the dispatch box with their opposition legislative colleagues two UDP MLAs will face-off on the squash court this weekend when the health minister and the deputy speaker make an appearance at the Cayman Open Squash tournament currently being held at Camana Bay. Cline Glidden a former junior squash player will be taking on the Legislative Assembly’s number one seed Mark Scotland a former Cayman junior national squash player. With Scotland away from the game for two decades and Glidden some fifteen, the match is likely to test the mettle of both men in the game of speed and agility. Will the pressures of the country’s health and environment and sports ministry see Scotland break or will the new duties imposed on the backbencher as a ‘councillor’ have taken their toll? The battle starts at 6:30 pm on Saturday, 17 April in the open air glass court in Camana Bay. The Open which is attracting international players debuted at the Cayman squash club last year. With the Department of Tourism now sponsoring the event hundreds of visiting professional squash athletes and spectators have travelled from afar to attend the games which government hopes will play its part in the push for sports tourism. “Having sponsored the Cayman Open for the last two years, as well as the recent NORCECA Volleyball Championship and the 2010 CARIFTA Games, we can clearly see how these types of large sporting events translate into an increase in business for the tourism private sector,” said Cline Glidden, who has been recently given the title of tourism councillor. The quarter-final, semi-final and final matches will take place for the first time on The Crescentat Camana Bay in an impressive 360 degree portable glass court improving the spectator experience. Attracting some of the very best squash players in the world, the Cayman Open also allows local players the opportunity to learn from the professionals during this exciting competition. All profits from the event will go towards the junior squash programme and the upgrade of squash facilities. In addition, over $18,000 worth of equipment has already been donated by the tournament to the junior squash programme. Squash is a sport known for developing both physical and mental agility and, in the last three years, the Cayman Islands has produced three Caribbean Junior champions and seen the rise of Cameron Stafford, who is currently the top ranked Under 19 male player. 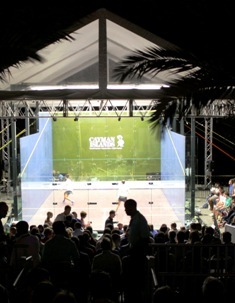 For more information about the 2010 Cayman Open Squash Tournament, visit www.caribbeansquash.com. Speaking at a press briefing on Thursday morning (15 April), Bush defended the initiative and suggested people had been deliberately trying to undermine the project, despite the fact that government had been open and transparent and it was a very positive move for Cayman and the start of a new pillar to the economy. Bush laid out a huge list of benefits to government and the people that he expected to come from the investment by Dr Devi Shetty in the proposed Narayana Cayman University Medical Center. The premier said that over the next 13 years Dr Shetty would be investing more than $2 billion, generating thousands of jobs and significant revenues to government as well as the local economy, which would benefit indirectly. He said government would receive millions in duties, fees and room taxes and there were no concessions on construction materials or land purchases. The project, he said, would generate millions, not just for government but for local business. 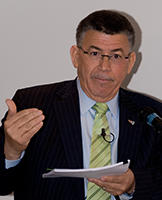 Bush pointed out there would be opportunities for spin-off business, and tourism related businesses would also benefit as a result of the demand for rooms and return business; the real estate sector would grow and new career opportunities in medicine would be created for Caymanians through the university; jobs would be generated through construction, and once the project was completed, other jobs would be generated as a result of the support services the hospital would need. He noted that most hotel developers in Cayman, over the years, had received significant concessions, which had continued under the PPM when they gave concessions to the Ritz developer Michael Ryan for his Dragon Bay residential development, but he said that, unlike his administration, the PPM had kept the concessions hidden. The premier said that all the other countries that were courting Dr Shetty’s project had offered concessions and what Cayman was offering was not unusual. “All the people who are saying we are not getting anything out of it are talking nonsense,” he said. Last week the MOU was signed with the internationally renowned cardiac surgeon, Dr Shetty, who has now committed to build a state-of-the-,art world class medical complex on the island. His representatives are currently seeking a suitable site for the project and Mark Scotland the health minister, said that in his recent conversations with Dr Shetty he had learned that more than 40 different offers had been made to the doctor regarding a potential site for the medical complex.